GLAND, Switzerland – Expanding ocean protection could return an increase in jobs, resources and services that far outweigh the costs, according to an analysis of new research commissioned by WWF on marine protected areas. The analysis comes months before governments make critical decisions that will direct the fate of the ocean for generations to come. When properly designed and managed, ecologically coherent networks of MPAs form safe havens for marine life. The areas protect and restore habitats and species resulting in a more resilient ocean better prepared to withstand the assault of climate change. When implemented in unison with sustainable fisheries management regimes and measures to minimise pollution, MPAs provide a solid basis for healthy marine ecosystems both locally and regionally. The new analysis is based on a WWF-commissioned study produced by Amsterdam’s VU University, modelling MPA expansion at both the 10 per cent and 30 per cent target levels. The report found that increased protection of critical habitats could result in net benefits of between US$490 billion and US$920 billion accruing over the period 2015-2050. 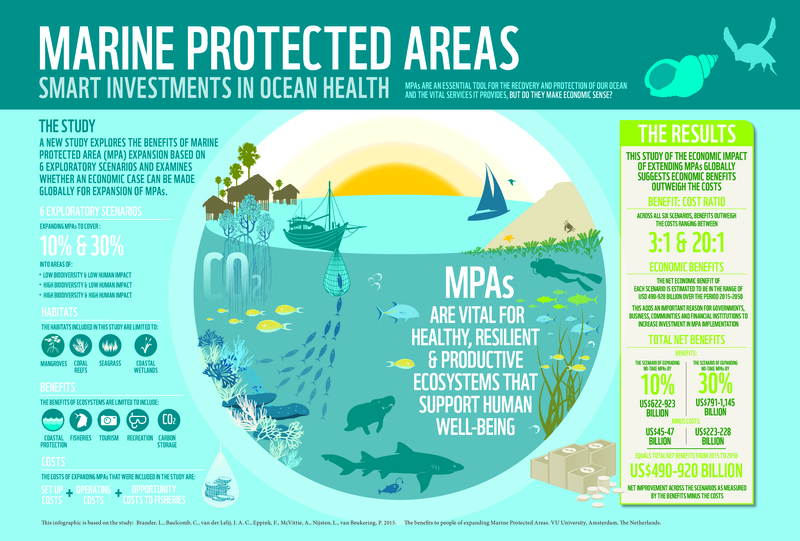 WWF recommends 30 per cent global coverage of MPAs by 2030 in order to secure the most complete benefits for people and the ocean. 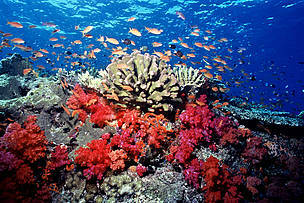 “Real-world examples prove that marine protected areas work; solid economic analysis shows that they are well worth it. Increasing investment in protected areas is a wise choice for communities, governments, businesses and financial institutions interested in the bottom-line and securing a sustainable blue economy,” said Lambertini. This year is particularly important for the ocean. In September, governments will meet to agree on a set of goals as part of the UN post-2015 sustainable development agenda. WWF's analysis recommends that the agreement include strong targets and indicators for the ocean, and commitments to coherent policy, financing, trade and technology frameworks to restore and protect ocean ecosystems. The global climate conference later in the year to forge a new global agreement on climate change is another critical opportunity to commit the action, resources, and leadership necessary that can contribute to ocean health. The new analysis on marine protected areas is among WWF ocean research under discussion at this week’s World Ocean Summit 2015. WWF’s participation at the event, organized by The Economist in Cascais, Portugal, highlights the need to safeguard the ocean’s health and economic well-being and that protecting ocean habitat is an essential foundation of the blue economy. WWF’s global ocean campaign, Sustain Our Seas, builds on decades of work by the organization and its partners on marine conservation. 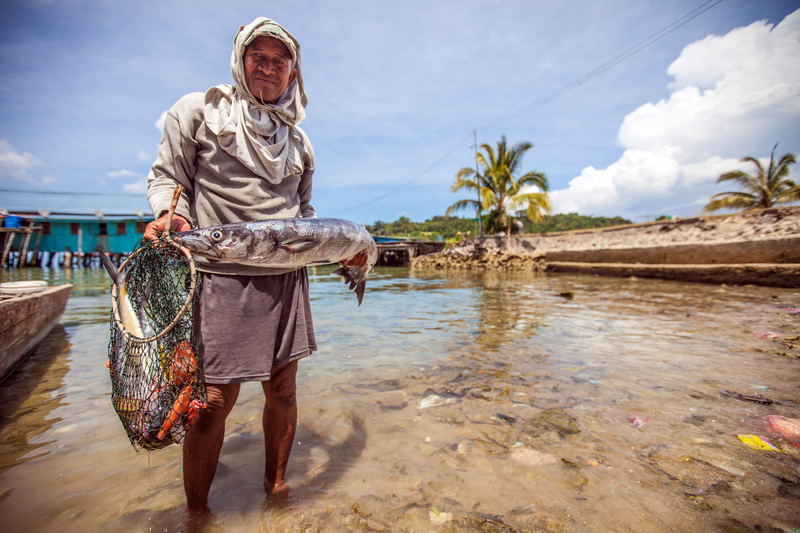 WWF is working with governments, businesses and communities to encourage leaders to take urgent measures to revive the ocean economy and protect the lives and livelihoods of billions of people around the world. 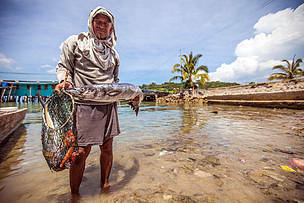 A fisherman holds his catch in Tun Mustapha Park, Kudat, Sabah. 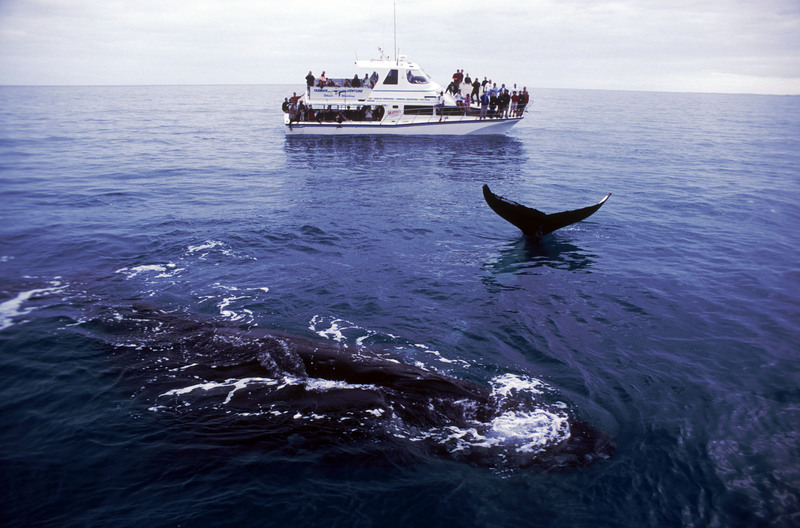 Humpback Whales, (Megaptera novaeangliae) and whale watching boat, Hervey Bay, Queensland, Australia. 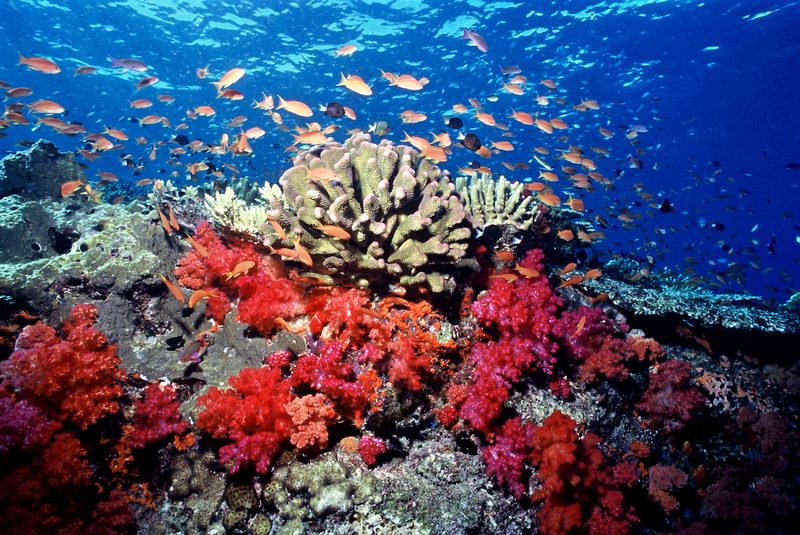 Soft, corals, hard corals and anthias fish seen underwater in Fiji. 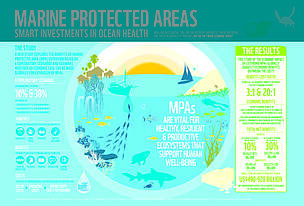 Infographic on benefits of MPA's.